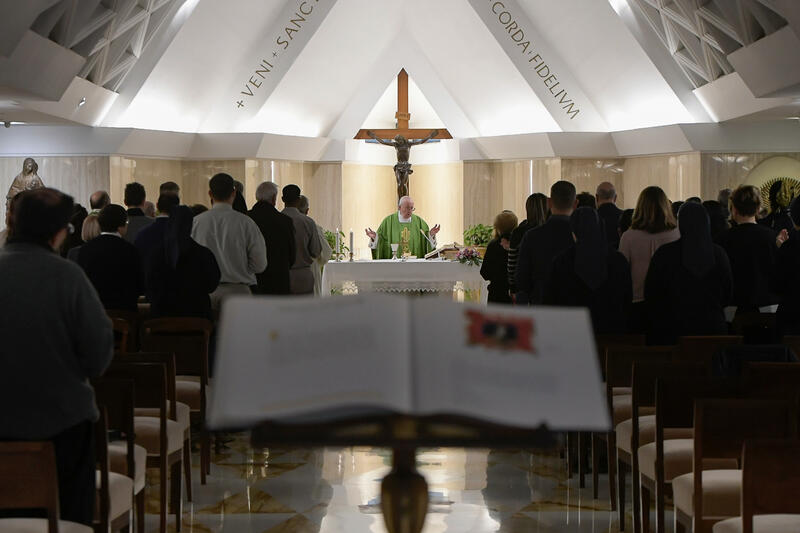 During the Mass in the chapel of Casa Santa Marta on November 29, 2018, Pope Francis warned against the “paganizaiton” of Christian life. In his homily, reported by Vatican News, the Holy Father commented on the First Reading (Revelation 18:1-2.21-23; 19:1-3.9a) on the destruction of Babylon, city “of luxury, of self-sufficiency, of the power of this world,” “dwelling place of demons, haunt of all impure spirits”; and the Gospel (Luke 21:20-28) of the devastation of Jerusalem, the Holy City. “This destruction begins in the interior and ends when the Lord says: ‘That’s enough.” There will come a day when the Lord will say: ‘Enough of this world’s appearances.’ It’s the crisis of a civilization that believes itself proud, sufficient, dictatorial and which ends thus,” explained the Holy Father. “There are tragedies, also in our life but in face of them, it’s necessary to look at the horizon, because we have been saved and the Lord will come to save us. And this teaches us to live the world’s trials not in a pact with worldliness or with paganism, which leads us to destruction, but in hope, detaching ourselves from this worldly and pagan seduction and looking at the horizon, while waiting for Christ, the Lord. Hope is our strength: let us go on, but we must ask this of the Holy Spirit,” continued the Pontiff.